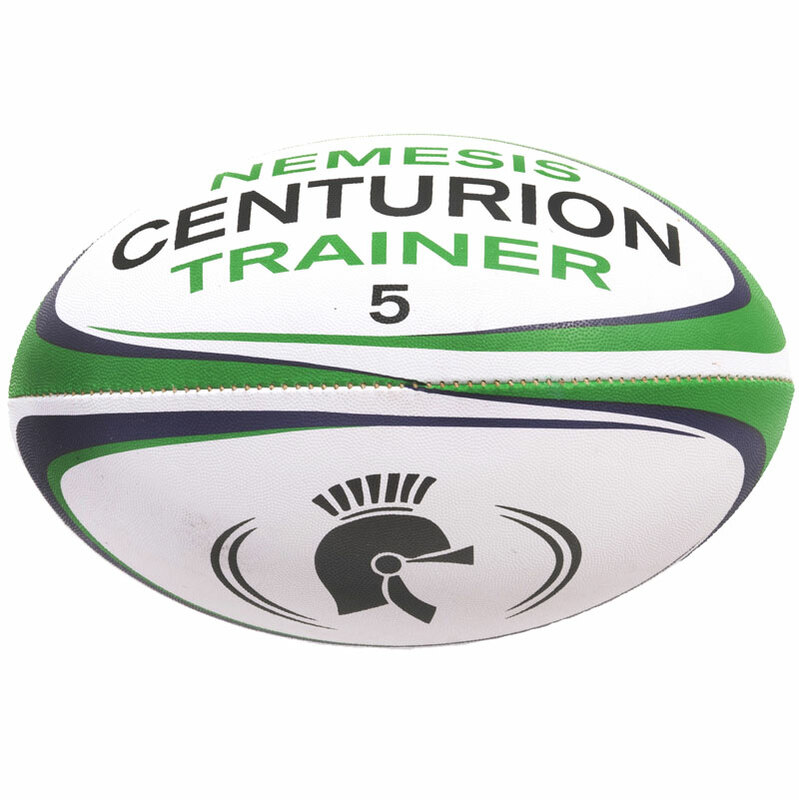 The Centurion Nemesis Training Rugby Ball is a quality training ball for all levels. Quality 4 ply training ball. 100% hand stitched with 9 ply thread for durability. Made with virgin grade, water repellent rubber top to maintain shape. Balanced hi tech bladder provides excellent flight charateristics and air retention. We brought this ball after one of our members had one, We used to use the zenon for training, This ball is slightly heavier giving it a more match ball feel, The lads love them. We have just ordered another 10. Our seniors, men and women have been training with these for some weeks and everyone seems happy with weight, grip and balance. This was a bulk buy of 12 balls for our Mini and Junior section at Slough RFC, I have to say the ball is fantastic, in both wet and dry conditions the Children have been able to handle the ball easily and safely due to its durable design. the dimples make the ball easy to hold, and the colour is perfect as Slough play in Green and White!!!! Thanks Newitts, we will be buying more very soon!! !